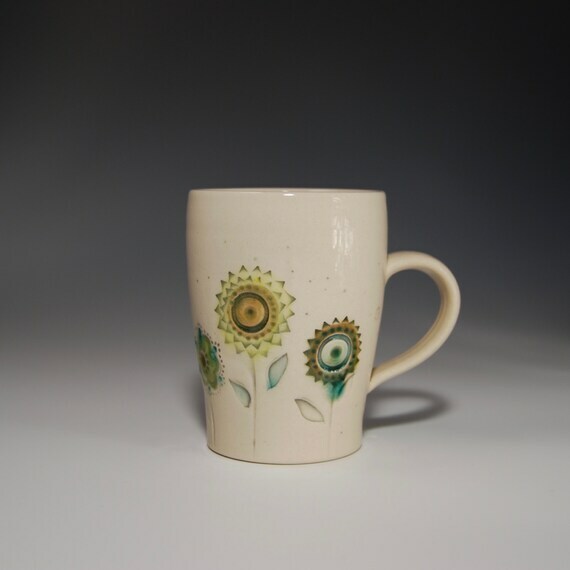 I have posted about the wonderful Jennie the Potter and her fabulous handmade mugs before. I have a small collection, which is quite impressive given how coveted they are. Jennie vends at all sorts of knitting festivals and the lines for her wares often begin the moment the event opens. I managed to purchase one for myself once, a few years ago, when I visited Maryland Sheep and Wool. The others I have acquired have been gifts or the once in a blue moon shop update. Well it must have been a blue moon this week, because this beauty came to live with me today. Previous The Corner of Knit & Tea: Episode 100, A big milestone!